ANYWAY…. A co-worker just helped her parents move and was describing the new furniture that was purchased for the dining room. My co-worker was explaining how the buffet had to be positioned off center because of a vent, to which I replied that my sideboard was off center in my dining room. My co-worker gave me a quizzical look and said, “Aren’t they the same thing? A buffet and a sideboard?” And thus, my challenge was born! So, dear readers, if you ever wanted a brief, internet research based* explanation of the etymology of your dining room furniture, search no further! Because I have nothing better to do on a rainy afternoon than provide you with this useless fascinating information. Apparently a “sideboard” is the family of furniture which includes any piece used as storage and display. 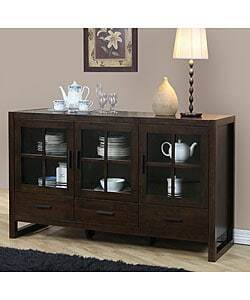 By that definition, most media centers that have storage are probably also considered a sideboard. So a buffet is actually defined as a small sideboard to store dishes, linens, and serve food. As you know, buffet also refers to a way to serve food en masse, also known as a Smörgåsbord (which is a Swedish meal made up of a bunch of cold dishes all served on the same table buffet-style, but the word is now used in English to portray a variety of options). The use of the word buffet apparently comes from 16th century France, referring to a display of wealth (like silver and crystal) as well as the furniture it is displayed on. Then there is also a credenza! Typically made of wood with a center section flanked by glass doored sections on either side, credenza comes from the 16th century Italian where it was used as a verb, meaning the sampling/tasting of drink and food by a servant to make sure it wasn’t poisoned before serving to noblemen. Basically, it’s a buffet but you can see in. And don’t forget it’s also a sideboard! Oh and don’t leave out the breakfront! I’ve always wondered why it was called that, and assumed it was because the front is usually glass and easily broken. But nope! It’s a piece of furniture with a curve, typically tall, and the curve of the center section is “broken” by extending forward from the sections on the side. Similar to your breakfront is a hutch (also known as a Welsh dresser, kitchen dresser, pewter dresser, or china cabinet, AND very similar to a hoosier cabinet). A hutch is a cabinet that has drawers and a cabinet below, topped by a counter/surface/sideboard, along with a shelving unit above. 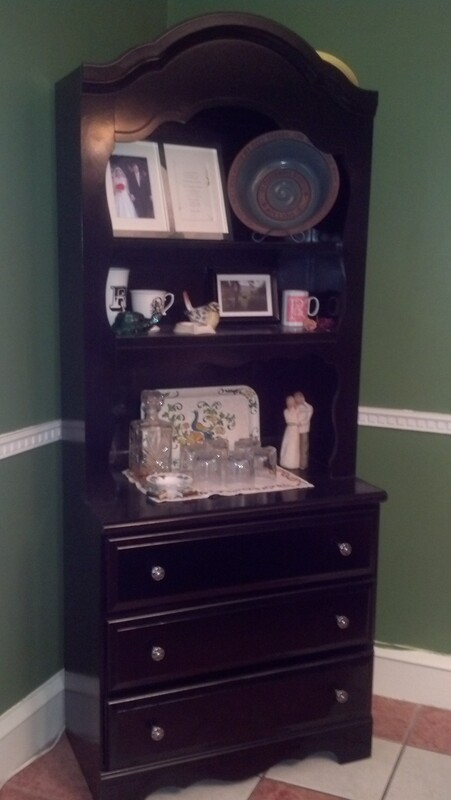 Originally, a piece of furniture like this was really just for utility, and commonly found in the kitchen. This is the place where you would prep your food, and then prepared food was put on your sideboard/buffet/credenza in your dining room. Sometimes there would be a long drawer just under the cabinet that was lined with tin so you could put cooked items to cool and sit before served. As time went on, the shelves went from storing food to and your every day plates to displaying the best-of-the-best crockery that you owned. 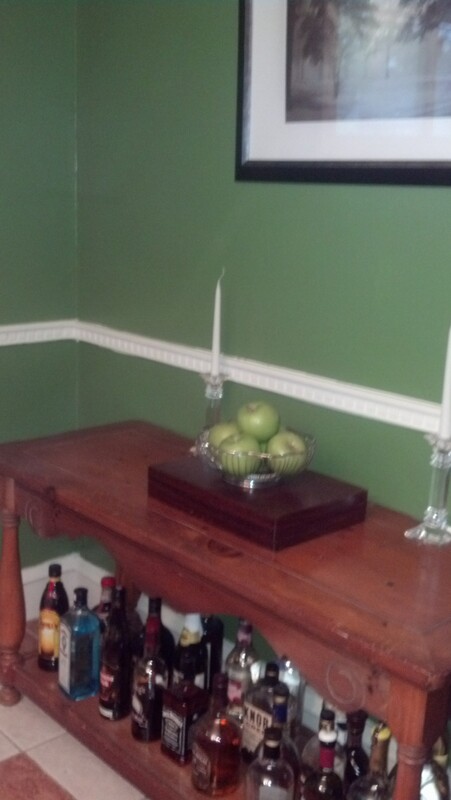 And do you have a drop leaf table in your dining room? It’s also known as an Irish Wake table or coffin table. There is a fabulous article about it here, and I wouldn’t want to do it injustice by paraphrasing. Let’s just say that when it’s used as designed, you would NOT be eating off of it. So, my dear friends, there is some additional knowledge that you probably didn’t need. I personally love knowing the back story to expressions and etymology of words. Just ask me about soffits some day. * Thank you to Wikipedia, Ask.com, This Old House, and a variety of other websites where I gleaned all this information. It’s actually nice knowing what to properly call the things I own.